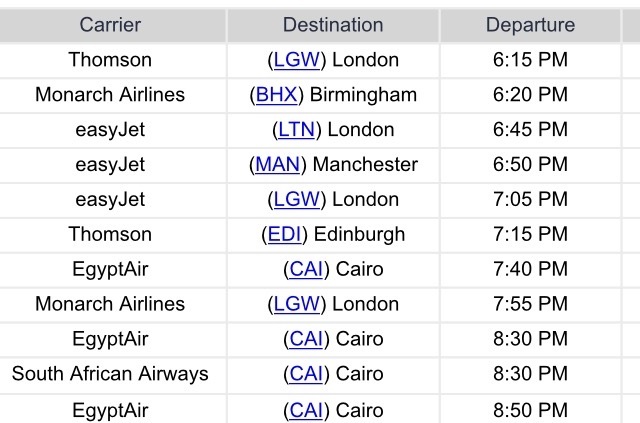 Only two flights returned to Birmingham Airport from Sharm el Sheikh last night (Friday 6th November) with one of those carrying on to East Midlands Airport. "Monarch is working continuously with Department of Transport and the Egyptian authorities to get customers back to the UK as quickly as possible. We recognise this is a very frustrating situation and apologise for the inconvenience this is causing our customers." "We can confirm that we are making arrangements for any customers due to return on this flight to remain in their accommodation free of charge. Our team in destination are dedicated to ensuring that all customers are as comfortable as possible until such a time as they fly home, and we remain dedicated to offering them all the assistance they might need throughout this time. " "We continue to work with the UK Government to try and finalise our flying programme for the weekend and we will update accordingly when further information becomes available. All other customers remain in their hotels on the same board basis and our experienced resort team is keeping them up to date on the latest developments. Our UK team continues to liaise with the Government and the Egyptian authorities to try and resolve this fluid and continually evolving situation. We would like to apologise to our customers for the inconvenience caused and would like to thank them for their continued patience. As this is a continuously evolving situation, customers are advised to refer to the noticeboards in the hotels or our website for the latest information. Customers in resort can also contact us 24-7 on Phone: +44 3333 365147 or Text: 82345. 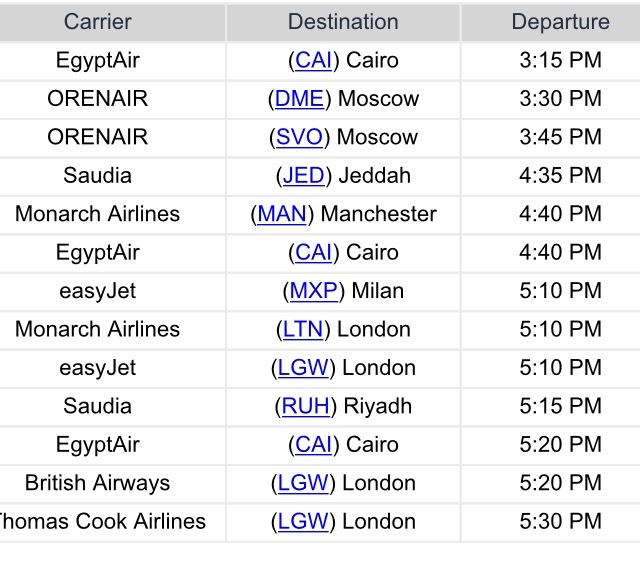 Outbound flights to Sharm el Sheikh: "Remain cancelled up to and including Thursday 12thNovember. All customers booked to travel to Sharm el Sheikh in this period will be provided with a full refund or can amend to any holiday currently on sale. If the new holiday is taken before the end of April 2016, we are also offering a £30 per person discount. As a priority, we are contacting customers due to travel today and ask those travelling at a later date to please bear with us. Customers in the UK, due to travel up to the 12thNovember, can contact our dedicated support line on 0800 009 3833 or + 44 203 636 1994.